CHICAGO (WLS) -- If Illinois legislators don't approve a budget this week, lottery players in the state won't get jackpots over $25,000 and Powerball and Mega Millions will drop the state. The Illinois Lottery said that in 2015, as a result of a lack of fiscal appropriation by the state, the lottery had to delay 3,900 valid claims totaling more than $112 million. Within a month of receiving a budget appropriation, all claims were paid. The decision by the Multi-State Lottery Association, is unprecedented in the association's history. Illinois Lottery spokesman Jason Schaumburg said last week that the association has never before threatened to drop the games. The state reported $99.4 million in Mega Millions sales and $208 million in Powerball sales within the 2016 budget year. It's unclear how much revenue the state got from the sale of those tickets. - Powerball sales in Illinois will be suspended at 9:00 p.m. June 28, 2017. 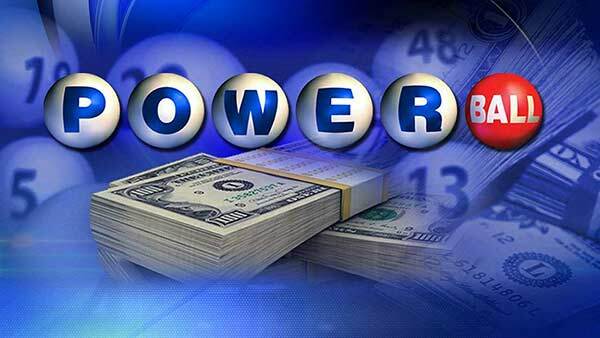 - All Powerball tickets purchased before that cut-off time will be valid tickets. - All active Powerball subscriptions will be cancelled after the last draw on June 28. The Lottery will issue refunds to players for the remaining length of their subscriptions. - When a Fiscal Year 2018 appropriation for the Illinois Lottery is passed, the Lottery will work with the Multi-State Lottery Association to determine a path for the return of Powerball sales. The timing is unknown. - No other Illinois Lottery games will be suspended. - Players should not delay claiming a winning ticket. - Valid claims of more than $25,000 will experience a delay in payments due to the Comptroller's inability to make payments on behalf of the Lottery without an appropriation. - Players with valid claims of any amount who owe money to the state (via an "offset") will experience a delay in payments due to the Comptroller's inability to make payments on behalf of the Lottery without an appropriation. - At this time, the Illinois Lottery will continue to pay valid claims of $25,000 or less at any of the five Lottery Prize Centers located throughout Illinois - Chicago, Des Plaines, Fairview Heights, Rockford and Springfield. - Prizes of $600 or less will continue to be paid at the Lottery's nearly 8,000 retail partners. Illinois Lottery officials noted that they have contributed $19 billion to the Common School Fund to assist K-12 schools since the fund was started in 1985. In 2016, lottery sales of $2.86 billion provided a $691.55 million contribution to the fund. The Illinois Lottery has additionally contributed $44 million to special causes including veterans services, breast cancer research, Multiple Sclerosis research, Special Olympics training programs, and assistance of state residents living with HIV/AIDS. The lottery said Powerball sales accounted for $208 million in 2016, while Mega Millions sales accounted for $99 million in 2016.